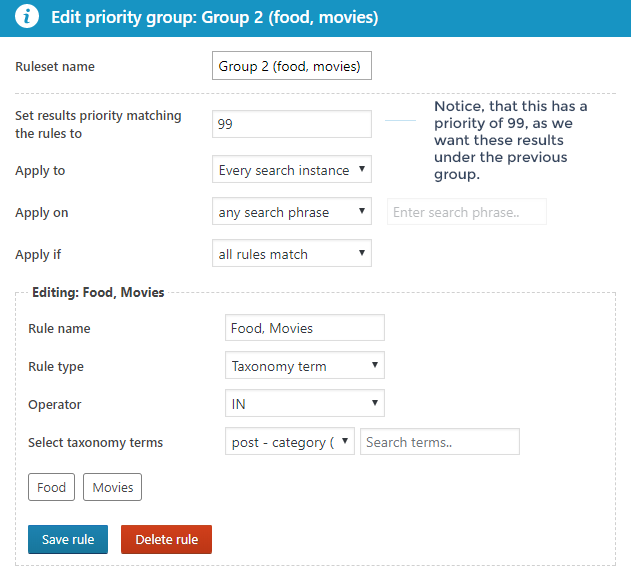 Priority groups allow prioritizing certain posts (or any CPT) based on custom field or taxonomy term rule(s). When is this feature useful? When certain posts in (or not in) certain category (or more categories) should be displayed first. 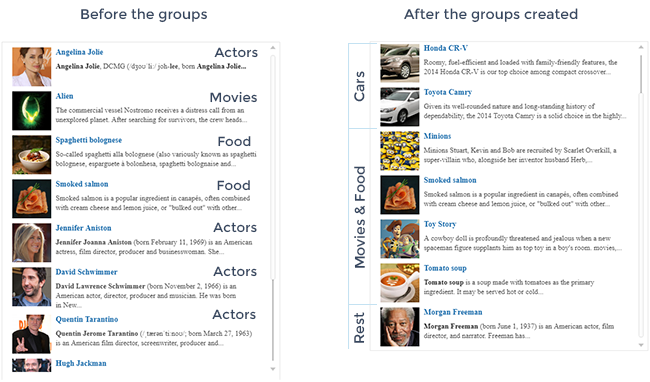 Example: Posts from category "Blog" should be displayed first, then the rest of the results. When posts having a certain custom field (post meta) and value should be displayed first. Example: Products between prices 1-100 should be displayed first, then the others. ..any combination of the above. Example: Products within the "T-shirt" category and below price 500 should be dispayed first. 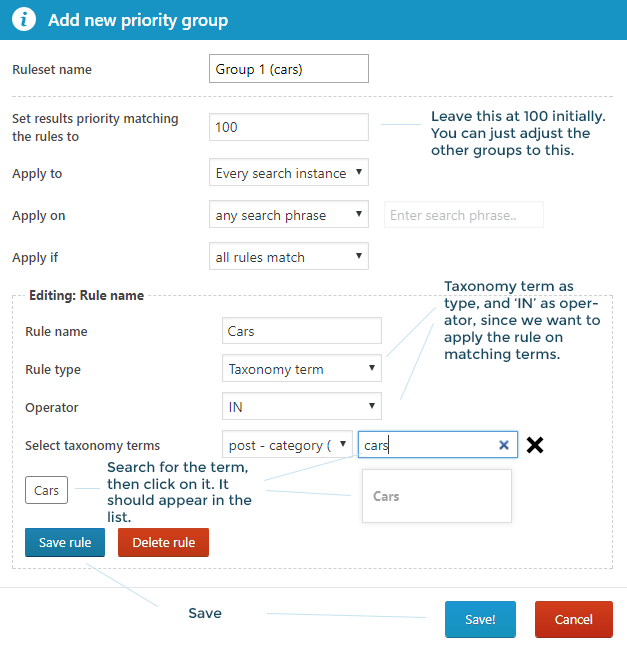 You can create groups and then add rules to them. 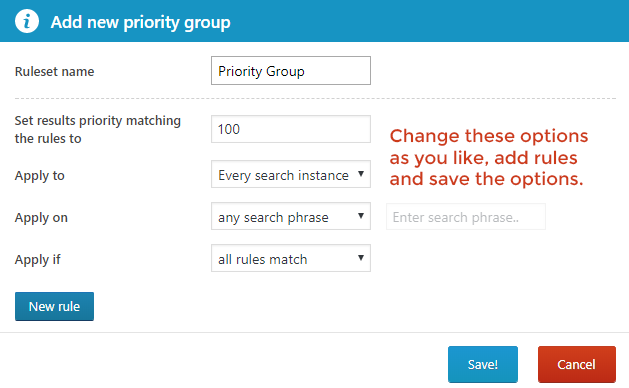 Each group has a "group priority" value assigned (by you), and results matching those rules get this value. The results are then ordered by this group priority value first. 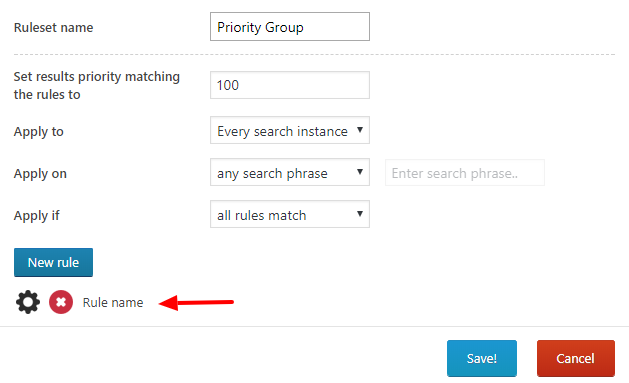 Results that does not match any priority group, get the group priority value 1. 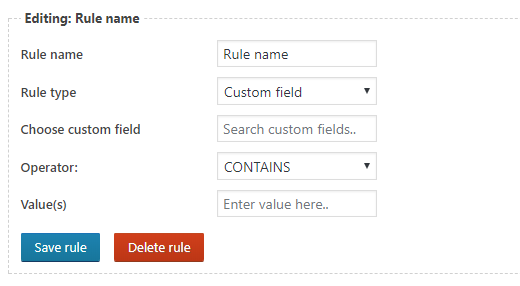 After you have choosen the desired options, hit the 'Save rule' button, and the rule should appear on the list. To edit a rule click on the Settings icon by the rule name. The X icon will open a prompt to delete a rule. 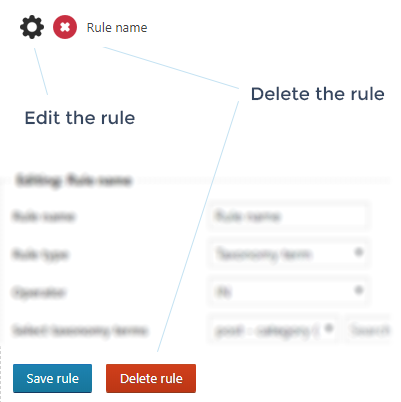 Deleting a rule is also possible by clicking on the 'Delete rule' button in the editor. These are some specific examples, to show how these options may affect the results.